Half of Macbook keyboard dysfunctional - How to fix? I did a fresh install of MacOS on my Macbook. After completing the install, I encountered a strange problem - half of the keyboard was dysfunctional. I experimented with Keyboard layouts and types, however after much head-banging, I found out the solution was completely unexpected. 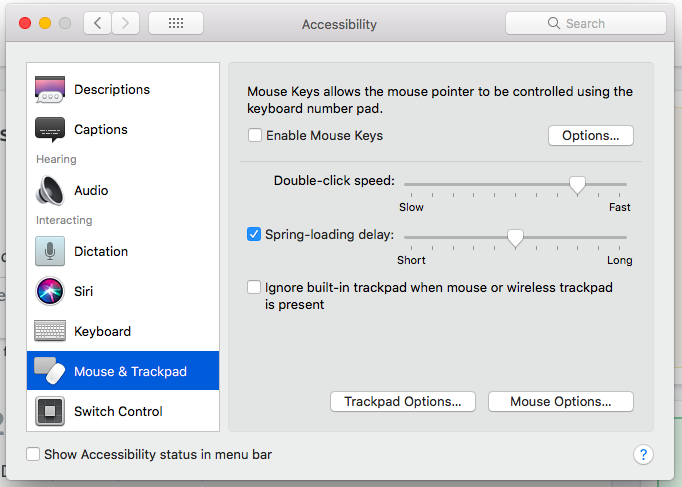 I had mistakenly enabled the 'Enable Mouse Keys' option in the Accessibility settings. Turning that option off fixed the problem. If anyone's facing the same issue, I hope this post will help.